Some of the best recipes I have in my collection are the ones from my grandparents, aunts, and many other relatives from generations before me. Back in the day, food was prepared very simply. There was not a lot of processed foods and most meals were farm to table; their very own farms, that is. Most of my relatives on my mother’s side of the family grew up in the mid west…South Dakota, Iowa, Minnesota. Many were farmers and cooked good, wholesome food. I remember dishes prepared with lots of fresh vegetables, fruits, fresh dairy products and of course, butter. Yes, butter. But, I do not think that is a bad thing. My grandmother lived into her 90’s and I feel that her style of cooking and her lifestyle of working hard and staying active allowed her to have a long, productive life. I think she was one of the original Clean Eating cooks, meaning hardly anything she ate was processed. I think there is something to say for that. My aunt Barb was also one of those amazing, tough, hard working women. 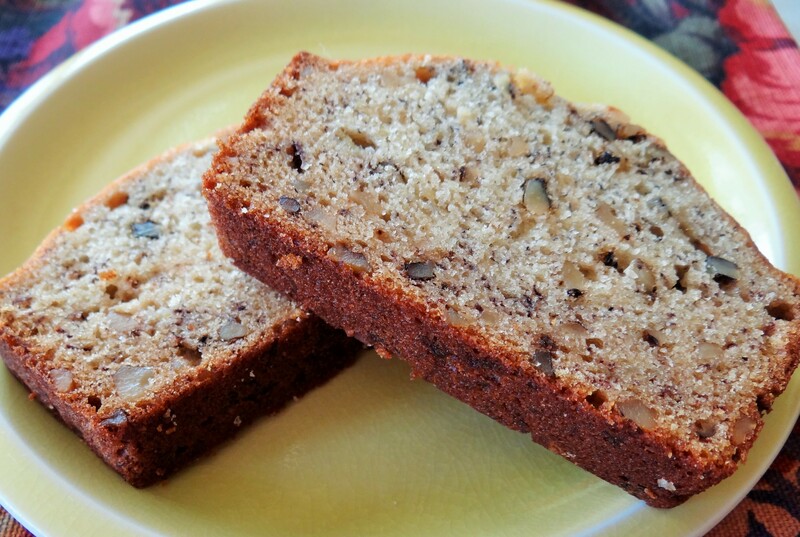 This recipe for Barb’s Banana Bread is one of her tried and true recipes. She passed it along to her daughter, who by the way, is just as amazing as she was. Another funny thing I noticed about many of these recipes is that steps in recipes were simple…”Mix all together, bake until done, in a hot oven”. They did not need folding, sauteing and spiralizing to make excellent dishes! 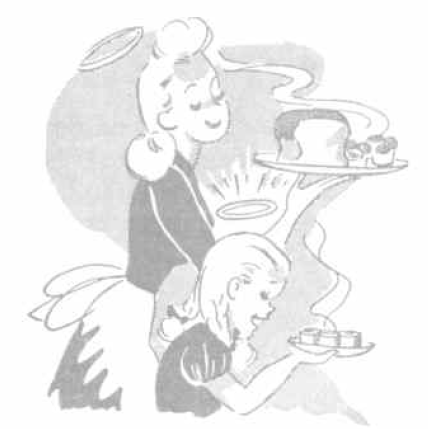 It is so fun to read old recipes like this one and picture my grandma Hilda and Aunt Barb cooking away! Note: This is the modern way to prepare this recipe. My aunt Barb swore it was best if made by just mixing everything with a wooden spoon! Her daughter Peri still makes it that way to this day. Preheat oven to 350 degrees. 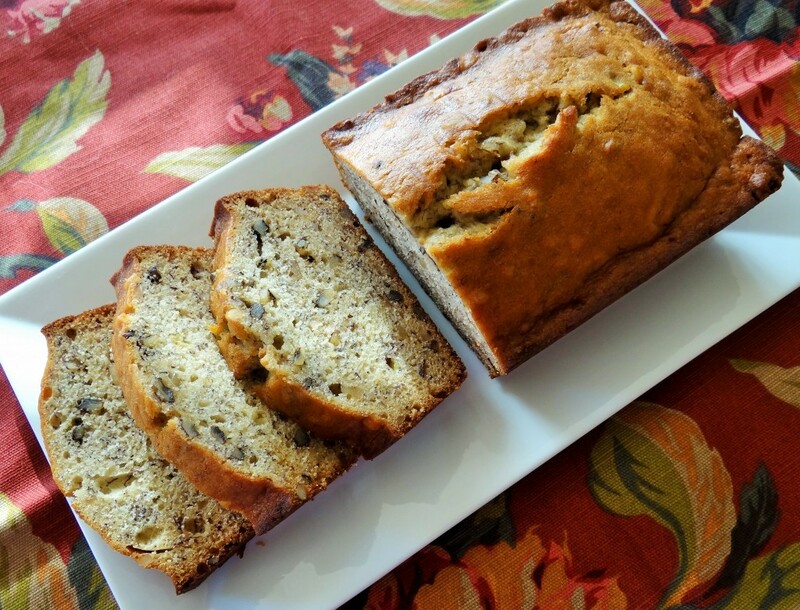 Prepare two 1 pound loaf pans with nonstick cooking spray. Place butter and sugar in a large mixing bowl. Beat on medium speed for 1-2 minutes. Pour in mashed bananas and mix just until combined. Add flour mixture into wet ingredients, a little bit at a time, alternating with 1 tablespoon of milk at a time. Mix this part on low speed. Scrap sides of bowl to ensure all dry ingredients are mixed in. Pour half of batter into each loaf pan. Bake at 350 degrees for 45-50 minutes until toothpick inserted comes out clean.